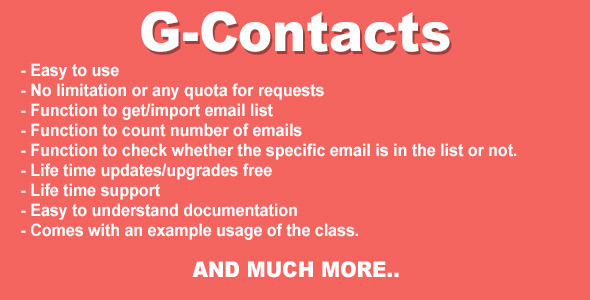 G-Contacts is a PHP class which makes the whole process of importing contacts from users account more easier. It hardly takes 5 minutes to implement this in your project. It has many features like getting the email list, counting the emails, checking the existence of email etc. Flexible, you can extent it. Comes with an example usage of the class. ImgZoom is a Jquery Plugin, which helps you to allow your user to view the thumbnail image in a bigger view on mouse hover. This is very useful for websites which is related to Media and Applications. You can simply customize the Plugin as well as the image container according to your page design. It’s very easy to install and use a beginner can also use this and enrich his/her website. Feedie – Feed parsing PHP Class Feedie is a PHP Class which simplifies the process of fetching, displaying RSS feeds. This class can be used in any project in which it requires to fetch the feed. Please view the features below. If you need any help regarding installation or editing or any kind of help related to G-Contacts PHP Class then please do message it to me or do write it in comments, Thanks & Regards.